Simply the Best 2 Bedroom on the Beach--NO disappointments. Best Floor Plan on the Beach. Both bedrooms and the living area are on the beach and have awesome views of the Gulf. PARADISE FOUND...Our Two-Bedroom Condo in Panama City's Finest Resort, LONGBEACH... Best on the Beach!!! Best Pricing and the condo is in excellent condition - New Granite, Paint, Appliances, Cabinets, Balcony Furniture. New Tile throughout. Three pools with hot tubs are a stone's throw away from the whitest sand in the world. Decorated in Palm decor. Family atmosphere, Non-Smoking. Third floor - great view and no nosebleeds! The large bedrooms and living area open onto a spacious balcony overlooking the new pool and the tranquil Gulf waters. Upgraded patio furniture. Gated with an excellent security system. Our prices are low but the amenities are super. Whether you are a golfer, water baby, skier, sunbather, people watcher, or just want to get away from it all ... COME ON DOWN - LIFE IS GOOD ON THE GULF OF MEXICO! Paula and I are a retired military (Army Aviation) couple who love the beach. Our condo is kept in great condition with an attention to detail that was instilled by my military service. A retired Army Aviator, I served for 23 years and Paula served the Government for 32 years--we love our country!!! Hooah! We purchased property on the beach because we love the laid-back atmosphere! When we cross the state line going south, all of our cares and worries melt away. Our condo is located on the most gorgeous beach in the U.S and we love to share our beautiful condo with our guests. Location, Location, Location. We are right on the water with the best floor plan on the beach. Long Beach Resort has all of the bedrooms on the water and they each open up onto the spacious balcony overlooking the beautiful snow white sands and awesome blue waters of the Gulf. toilet, combination tub/shower, Large garden tub! Separate dressing area has double sinks. toilet, combination tub/shower, Large Garden Tub and double sink vanity. Plenty of room! Both bathrooms are spacious and decorated immaculately. You are right on the water and the views are spectacular! Every room, including both bedrooms and the living area overlook the beautiful Gulf of Mexico! Simply stunning!!! Sofa, love seat, and recliner -- all ready for you to relax and enjoy! Everything you need - except the chilled wine for watching the dolphins in the evening. We have three wide-screen TVs (living room and both bedrooms). We have lots of books for you to read and enjoy!!! Beautifully landscaped with palms and flowers! From your private balcony overlooking one of the three resort pools, you will enjoy gorgeous sunsets and panoramic views! Free Beach Chairs this year! Bring your own or rent them from the marina! Bikes, scooters, motorcycles are available to rent at local merchants. Local marinas are not far away! Scuba and snorkeling gear are available at nearby merchants. Within 5 miles driving distance. Two heated pools and a large lagoon pool with waterfalls. Beautiful Palm Decor throughout condo; new Tile installed in 2013, new paint, granite, Stainless Steele appliances in 2014, 3 Phones, Central Heat and Air-Conditioning, 3 Cable TVs, 3 DVD players, Full Kitchen to include Microwave, Dishes & Cookware, as well as Washer and Dryer. Linens are provided. Just bring your swimsuit! Both bedrooms have spacious walk-in closets & bathrooms have luxurious garden tubs. Upgraded patio furniture so you can relax and watch the beautiful sunsets. This is a NON-SMOKING Unit! Hurrican Michael hit. Allmans were wonderful to work with us. My reservation was for Oct. 13-20, 2018. Hurricane Michael hit. Darrell and Paula were super. All week before the hurricane hit Darrell would call me to update on the status of the weather conditions. Finally, he called and said that the situation was just too dangerous for us to make the trip. And he was cancelling my reservation. I was disappointed but thankful that the Allmans were thinking about our safety. I will definitely be booking with them again. I'm always a little unsure about renting a vacation condo by email but I can not say enough good words about this condo! All the photos are exactly how it looks. It was very clean! Great location to anything you want in PCB. It was right off the elevator and then close to the beach! Absolutely gorgeous view! The condo was stocked w/ everything we needed. We will definitely be renting this condo again! Thank you for being a great couple to rent from! We had a great and relaxing time at Paradise Found. It was excellent and just as the pictures showed. Bedrooms were great with floor to ceiling windows. View was amazing. Condo was equipped with everything we needed and more. Loved the decor throughput thr condo. Third floor provided the best view of the gulf and balcony was oversized with plenty of space. Two lounge chairs and tall table with chairs were very comfortable while looking at the amazing view. This condo was one of the best we have stayed. I read the view about mice. The condo is very clean and we seen no insects or mice. I think if this was true, we would of seen something. Smelled clean and fresh so unsure and we stayed first week in June. Thanks again for allowing us to use your condo. I always worry when I rent from vrbo but no worries with this condo. It was great. I have rented this property several times, but NEVER again! The place is invested with mice! I called the owner and he said he was aware of the problem. There were glue traps down and a dead mouse under the kitchen sink, the guest bedroom bedspread reeked of mouse urine, along with mouse droppings under the sink. The owner was unapologetic and I had to ask for my deposit back. Our family vacation was terrorized and ruined by the mice running rampant all throughout our condominium. As an attempt to salvage what remained of our vacation we laid down glue traps and managed to capture one, but still saw multiple sightings after that. The guest did call us and we promptly had the resort staff come to our condo to check on the problem and to put down traps as necessary. We also had our cleaning team manager come to the condo to check on the guests. There was no mention of any urine, droppings, etc. We did have one mouse sighting by a guest some time ago and we had a pest control company check our condo out. The offenders evidently had taken refuge in the building because of a storm. We regret this happened but it was evidently a resort problem caused by the weather, not just us. We are retired military and our condo is maintained to the highest standards and we have never had a problem. Our other reviews support this. The deposit check was returned upon the guests satisfactory check out, not because she demanded it. Again, we hated that this happened and are sincerely sorry. "What you see is what you get." Those words could not be truer! When I spoke with Darrell on the phone that is exactly what he said to me. This condo is awesome. The floor to ceiling windows in both bedrooms and the great room have a spectacular view of the beach and ocean. You can hear the waves crashing. And the sunsets from the balcony were spectacular. We were thrilled to have found this place. It was a last minute booking and I was pleased when Darrell answered my emails so quickly. When I spoke with him on the phone I knew Paradise Found was the place to be! Everything in the condo was in good working order and the furniture clean and comfortable. I felt like I was at home. 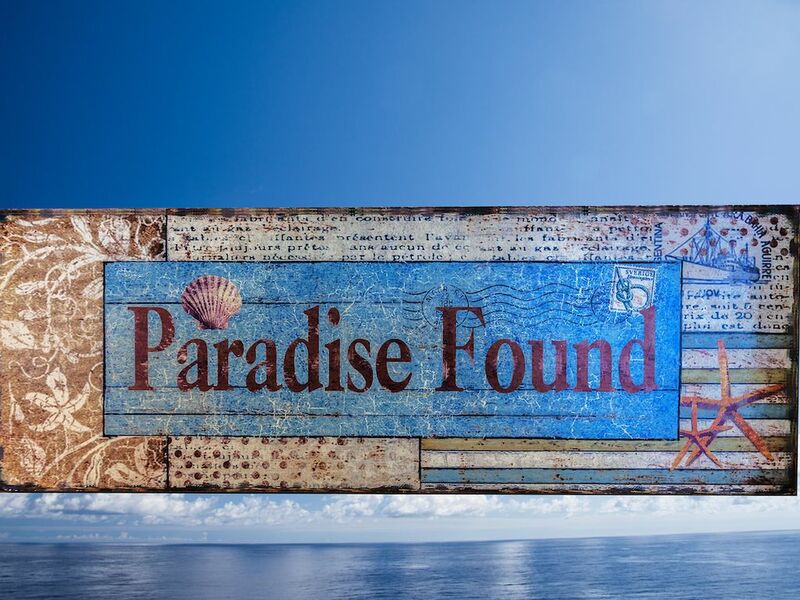 We highly recommend Paradise Found to anyone looking for a wonderful beach vacation. Thank you again, Darrell and Paula for sharing your home with us. We loved our stay at this condo,it had plenty of everything. The condo was decorated beautifully,we loved the high top balcony furniture,loved sitting for hours looking at the ocean!! We would recommend this condo to anyone looking for a beautiful place to stay,thanks for sharing your wonderful place!! "Paradise Found"
Longbeach Resort is on the Beach!!! Close to Pier Park, Golf Courses, and the best seafood restaurants around.